Here at The Anderson Mortgage Team we are proud to be part of the MI family. 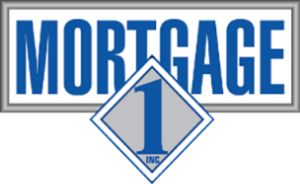 From a single office in 1996 to over 1 billion in sales, Mortgage 1 has always grown through relationships. That single office has since grown to nearly 40 in 4 states and today we are held in the highest regard in both the mortgage and real estate industry. We are committed to excellence in all facets of our business and we are proud that we have helped so many families purchase their dream home. At The Anderson Mortgage Team/Mortgage 1 office people make the difference. Our team is passionate and dedicated to making sure our clients walk away satisfied with their experience with us. We have the experience to help our borrowers navigate the mortgage process. Wouldn't you like to work with the very best? Give us a call today, or apply online and get a SNAP approval in minutes!